The Board of Regents of the University System of Georgia (USG) today named Dr. Paul Jones president of Fort Valley State University (FVSU) in Fort Valley, Georgia. Dr. Paul Jones will assume his new position on December 15. “Paul is a proven, trusted leader within our University System,” said Huckaby. “We recognized Paul was a strong, emerging leader as chief budget officer at Georgia College & State University when we asked him to assume the role of interim president at Darton State College. Jones has served as interim president of Darton State College (DSC) in Albany, Georgia since October 2013. Darton State is a state college in the University System of Georgia that educates more than 5,400 undergraduate students in associate-degree, limited bachelor’s degree and certificate programs. The college also offers online degrees. As interim president of Darton State College, he has focused on improving the administrative functions of the college by creating an enrollment management division, legal affairs and internal audit departments; restructuring academic divisions into three schools and resolving some audit, accreditation and fiscal challenges. During Jones’ interim presidency, DSC expanded its online degree offerings by adding four new baccalaureate online degrees. He also established new articulation agreements with Albany State University, which allow Darton State College students to seamlessly earn a bachelor’s degree. At his home institution, Georgia College & State University (GCSU) in Milledgeville, Jones has served as the senior vice president for finance and administration since May 2013. He has had various positions throughout the System and at other colleges and universities throughout the country. 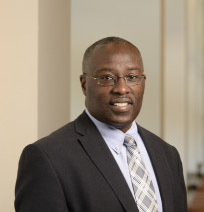 At GCSU, he has served as interim president, vice president for administration and operations, vice president and chief of staff, vice president for institutional research and enrollment management, and associate vice president for enrollment services. He is also a tenured professor of education administration in the department of special education and educational leadership. He has served the community through several memberships and leadership positions that include: board of directors for Goodwill Industries of Middle Georgia, the Central Savannah River Area and executive committee of the Washington County Archway. He is also a member of several professional academic associations. Jones earned a bachelor’s degree in speech communication and a master’s degree in interdisciplinary studies from Utah State University (Logan) and a doctorate in education and human resource studies with a specialization in educational leadership from Colorado State University (Fort Collins). He has additional professional education including an ACE Fellowship program a premiere leadership development program where he visited over 50 diverse institutions (public, private, HBCU, HSI, community colleges) and the Executive Leadership Summit at Hampton University in Hampton, Virginia. Chancellor Hank Huckaby and Dr. Paul Jones will visit the campus on Thursday, Nov. 12.